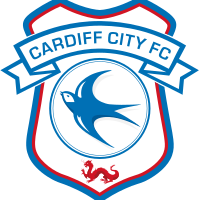 Follow live Cardiff City vs Wolverhampton Wanders in the Premier League 2018/19. Kick-off is set for 8PM GMT from Cardiff, Wales. Live stream score commentary from the Premier League on VAVEL UK. I've been Josh Lees and that's all from me. I hope you've enjoyed the coverage and make sure to check back with VAVEL for every Premier League game! A superb birthday present for Neil Warnock sees his side pick up their third win of the season, and this maybe the most important yet as they battle to move out of the relegation zone. For the away side it's another defeat which extends their unbeaten run to six, piling more and more pressure on Nuno Espirito and his side. A strike from Gunnarrson and a wonder goal from Hoilett completes a superb second half come back for the Bluebirds to give them their third win of the season. What a second half! 90' FIVE minutes added on in Cardiff. 86' Another great chance for the visitors as Cavaleiro whips a ball to Gibbs-White who hits a volley just over the bar! 83' Good chance for the visitors as Cavaleiro finds space 10 yards from goal, however his effort is weak and straight at the keeper. 77' WHAT A GOAL! The ball falls loose to Hoilett 20 yards from goal and he curls a stunning effort into the top corner giving Patricio no chance! 75' Kadeem Harris replaces Harry Arter. 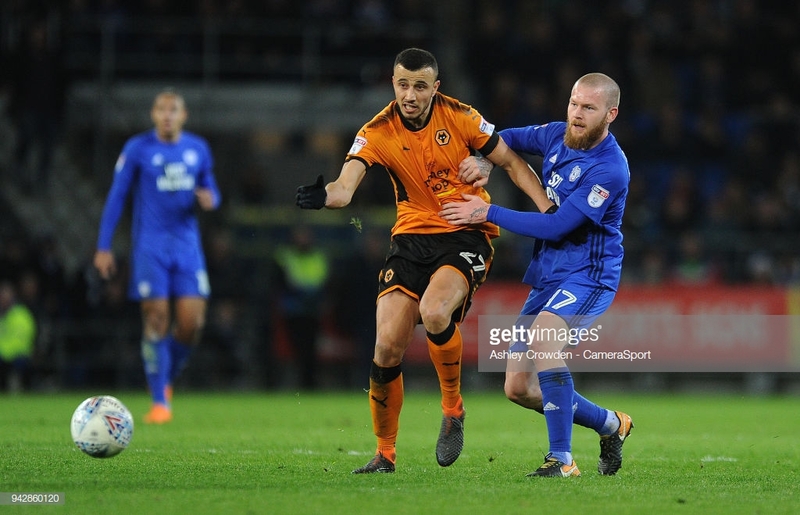 72' Diogo Jota comes on to replace Helder Costa and Morgan Gibbs-White replaces Adama Traore. 68' Bobby Reid comes on to replace Josh Murphy. 64' Cardiff have their equaliser! A scramble in the middle of the box falls to the feet of Gunnarsson who smashes home from six yards to level the score! 60' Ruben Neves is the first man in the referee's book after cynical foul on Josh Murphy. 58' What an effort! Ruben Neves lines an effort up from 30 yards and hits it on the half volley forcing an unconvincing save out of Etheridge. 52' Cardiff have their first corner of the second half, however the delivery fails to beat the first man and its cleared. 50' Stoppage in play as Patterson is down receiving treatment after a clash with Doherty. 46' Back under way at the Cardiff City Stadium. It's the away side who go into the break with the lead as Matt Doherty's goal just before the 20 minute mark proves the difference between the two sides so far. 44' Huge appeal for a penalty from the hosts as Doherty backs into Patterson, however it wasn't enough for Andre Mariner as he waves away the claims. 39' The visitors come close to doubling their lead as Neves' effort from 20 yards curls just wide of the post. 37' What a chance! Patterson's corner falls to the feet of Arter and his effort from 18 yards out crashes against the post! So close to the equaliser. 36' Murphy does well down the left an earns his side another corner. 35' Coady does well to get across to Camarasa and clears for a corner. The resulting delivery comes to nothing and goes behind for a goal kick. 32' Chance for Wolves as Adama travels a good 30 yards unchallenged, however his final effort from the edge of the box is weak and blocked by Bamba. 28' Since their opener the visitors have been in control, Cardiff a struggling to keep hold of the ball. Plenty of frustration coming from the home end. 18' We have an opener! The corner from the right was met by the head of Jimenez who forced a good save out of Etheridge. Luckily for Wolves Doherty capitalised on the follow up and smashed home from close range to give his side the lead! 17' Adama does well down the right wing and dangerous cross in the middle is headed behind by Bamba for a corner. 11' Raul Jimenez wins the away side their first corner, however the cross comes to nothing and Cardiff clear. 9' We have our first corner of the night and it falls the way of Cardiff. Patterson's resulting delivery is well cleared by the Wolves defence. 5' First chance falls to the hosts as Ralls hits an effort from 20 yards just wide! 1' Wolves get the game under way at the Cardiff City Stadium. Cardiff's Josh Murphy is expected to return to Warnock's starting XI tonight, after he was dropped from the match day squad for their 1-0 defeat away at Everton. Kenneth Zohore is set to miss the clash as he is struggling with calf injury. For the visitors there is just the one injury problem with Jonny Otto their only main absentee. 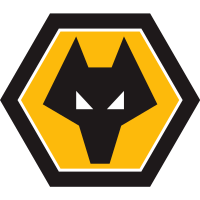 The last time the two sides locked horns resulted in a cracker as Wolves edged a dramatic affair 1-0 at the Cardiff City Stadium. Ruben Neves opened the scoring with 20 minutes left with a stunning free-kick, however the drama was still yet to come. The Bluebirds had two golden chances to rescue a point as they were awarded to penalties in added time. However, both were missed and this led to wild celebration from Nuno Santo which then resulted in a frosty confrontation with Neil Warnock. Will there be more drama tonight? The home side are yet to open the scoring this season at the Cardiff City Stadium, and have only scored the opener once in all their league games this season, and this came in a 4-1 drubbing at Stamford Bridge against Chelsea in September. Wolves have made the fewest changes to their starting XI of any team after 13 games in Premier League History, as Nuno Santo making just three changes since the start of the season. This tips the previous record of five set by Burnley in the 2009/10 season. The two sides have struggled in recent weeks with the Bluebirds heading into the game with eight defeats from their last 10, whilst Wolves are without a in their last five. Despite their recent struggle Cardiff's two wins this season have both come at home, and they'll be hoping to make it three tonight. Wolves will be hoping to rectify the scoring problem tonight as they head into the clash after scoring three times in their last five matches. Hello, I'm Josh Lees and welcome to VAVEL's live commentary of Cardiff City vs Wolverhampton Wanderers in the Premier League. Tonight's game kicks off at 8pm GMT, but don't worry we'll have plenty of pre live build up until kick off!